We’d love your help. Let us know what’s wrong with this preview of "The Herder Prince" by Lenor Tancred. "Herder Prince" takes a modern look at the political struggle between Moses and Pharao. It also explores the human tendency to ensure that prophecies fullfill themselves. The role of religion in controlling the human mind is a recurring theme. The author scrutinizes historically accepted Judeo-Christian perceptions and interpretations of events. This is a purely fictional "Herder Prince" takes a modern look at the political struggle between Moses and Pharao. It also explores the human tendency to ensure that prophecies fullfill themselves. 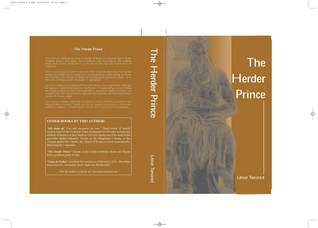 To ask other readers questions about "The Herder Prince", please sign up. Be the first to ask a question about "The Herder Prince"
From a psychological point of view the main character illustrates how humans are influenced by predictions and prophecies often acting to ensure their outcome. The danger of blindly accepting words spoken by others - as in the case of Macbeth - is highlighted. Trivia About "The Herder Prince"